Procure Napa Valley’s rarest wines. At Premiere Napa Valley, wine sellers capture one-of-a-kind wines to offer in their shops, on their wine lists and to their most discerning customers. The professional peer-to-peer networking and relationship-building with more than 225 of Napa Valley's vintners is often likened to a homecoming for our most loyal ambassadors. While we roll out the red carpet to greet our best customers for the main event on Saturday, the entire week leading up to Premiere features educational tastings, like the NVV's annual Vintage Perspective Tasting, social gatherings and networking opportunities. The mood during Premiere Napa Valley is festive and not to be missed.. 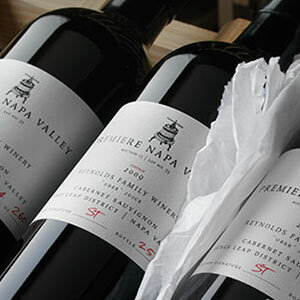 Premiere Napa Valley is an invitation-only event for members of the wine trade and media. To request an invitation, please create or login to your NVV trade account and fill out the provided online invitation request form. We attend Premiere because of the relationships we can build with the vintners as well as the opportunity to purchase something from new and up-and-coming properties that we can offer to our clients. Premiere Napa Valley is a great opportunity to connect with the winemakers of the Napa Valley and to bring our customers a unique offering that enables them to learn more about Napa. Explore the portfolio of one-of-a-kind, limited production Napa Valley wines. Members of the wine trade talk about what makes Premiere Napa Valley so unique. 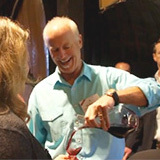 Napa Valley's innovative approach to new sales and marketing models.